Where do I have to enter the License Key for Image Widget Plus? I downloaded the plugin, uploaded the ZIP using the WP plugin install page and activated the plugin. There is no settings page. I added a new widget to my sidebar and tried to add an image. I clicked “Bild öffnen” respectively “Add Image” and was directed to the media library of my WP site. I selected an existing image and finished with “In Plugin einfügen”. The form still looks like in the screenshot. Probably because the Licens is missing somewhere. Thanks for posting, I’m happy to help out here! The license for Image Widget Plus is baked into the plugin. Can you let me know what functionality are you missing? My image is not being displayed. With the non-pro version I picked a file and it got displayed below the “Add Image” – button. With the pro version the widget settings page looks like in the screenshot. And there is no image displayed in the sidebar. In the page source of the sidebar I find no class=”widget tribe_image_plus” where there should be one. In the mean time I played around some more and also tried accessing the widget settings via the live preview in WordPress an this works. The chosen image appears in the dialogue and in the preview. And when I save the new settings, it stays OK. I emptied my browser cache, I deactivated and uninstalled the non-pro version of the widget in case there might be an interference between the two. As long as the method via the live preview works, I can live with it. But it does not work like intended. Let me know what you find out & we’ll go from there! OK. Did that all and arrived nowhere. As I do not have Twenty Sixteen installed, I activated both Classic, Default and Twenty Fifteen alternatively. I deactivated all plugins apart from IWP. After that I cleared my browser cache. Since the configuration of the widget area is bound to my theme, I added a fresh IWP widget to the sidebar, chose a position (3) and clicked “add image”. I was presented my media library and picked a png from there and clicked “In Widget einfügen” to finish. Still the image did not appear in the widget configuration page. I waited quite a long time just for good measure in case a spinner or a rendition of the image had shown up late. The I clicked the buton to save the widget configuration. When I went to the main page of my blog, the widget did not show. edit: I did that with all three standard themes. Also in the debugger there was no trace between the other widget in the position where it should have been. In the console nothing around JS, no URIs that had problems loading. I loaded the widget config page with my console open. Also no JS errors and no GETs that where unsuccessful. I have no problems using the plugin via the live preview config but still it is strange. If You have a debug version of the plugin or if there is a debug switch somewhere in the sources, I am willing to keep on helping. In the mean time I found the place where the license key is present btw. This reply was modified 1 year, 11 months ago by Michael. I apologize for any clunkiness in this process, troubleshooting IWP is still fairly new around here, so I’m still learning common errors and establishing a troubleshooting process. Just to clarify, did the license key solve your issues, or are you still experiencing these problems? no, it didn’t. Initially I thought entering it somewhere would solve the issue. I’ve done some more testing, and I’m still not able to replicate this. This almost certainly has to be a conflict with one of your other plugins. 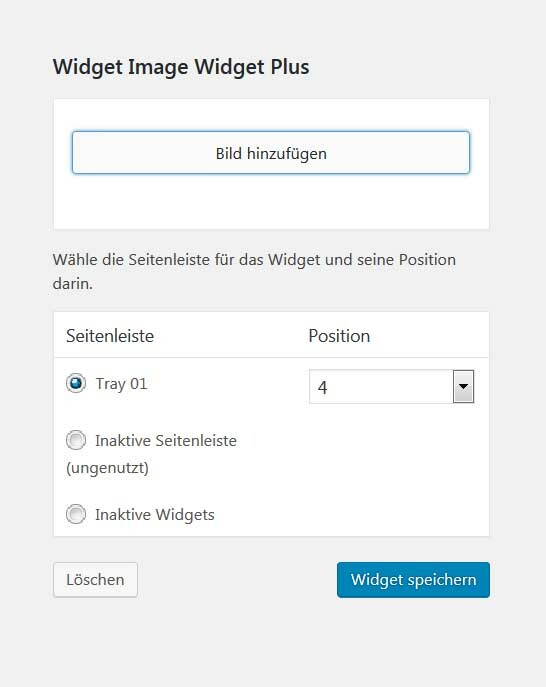 Can you deactivate the rest of your plugins, then clear your cache and see if the widget area is working properly? I can’t find another reason why this wouldn’t be working.